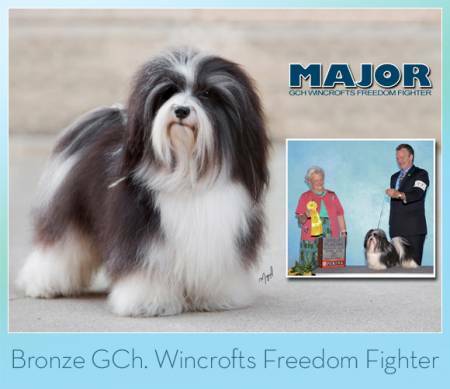 GCH Wincroft's Freedom Fighter - "Major"
This is one incredible boy, hopefully this will be the Buster son to replace his father! Major Dad Buster and Grandpa Pan are the only Havanese that have produced mulitiple BIS's! !